What do you want to be when you grow up? We are all asked that by so many different people when we were younger. Some would say an astronaut, some would say a firefighter, but have you ever said you wanted to be an underwater welder? 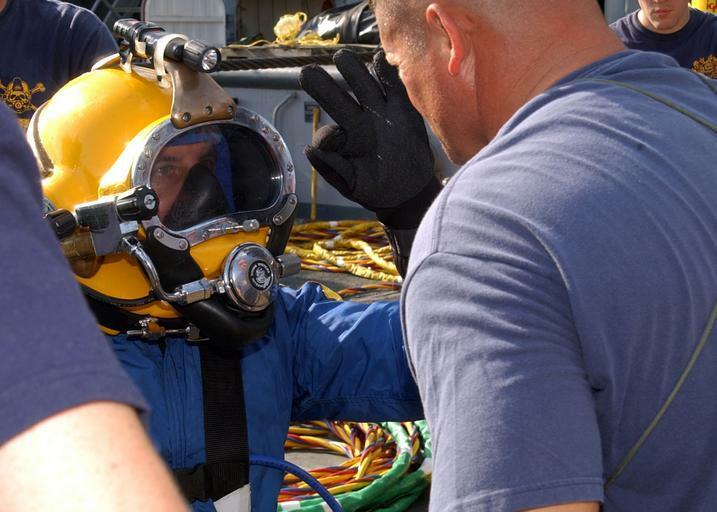 Underwater Welding, also known as commercial diving, is one of the most dangerous jobs on the planet, and for good reasoning. Underwater welders work on pipelines, ships, dams, nuclear power facilities, and offshore oil rigs. That was only to name a few. These welders are more than more than 100 meters below sea level performing acts that are tough for some people to master on land. The main part of underwater diving is safety, because a lot can go wrong. If a diver comes up too fast from a certain depth, their lungs could explode. The pressure on their bodies as they are underwater is incredible the further down they travel. The deeper it gets the less visibility each diver has. Working with limited light in a body of water can be frightening for most people, because the divers can’t see what is 10 feet in front of them. There are a lot of job opportunities for commercial diving because of the limited amount of divers to complete these jobs. New divers should not have a struggle finding a job when they complete the diving program. Commercial Divers will make an average of $26.32 an hour, however, the deeper a diver goes underwater, the more money he will make. The average yearly salary is $70,000- $90,000. Underwater welders don’t work every month of the year either. Each job is a couple months on and a couple months off in some cases. 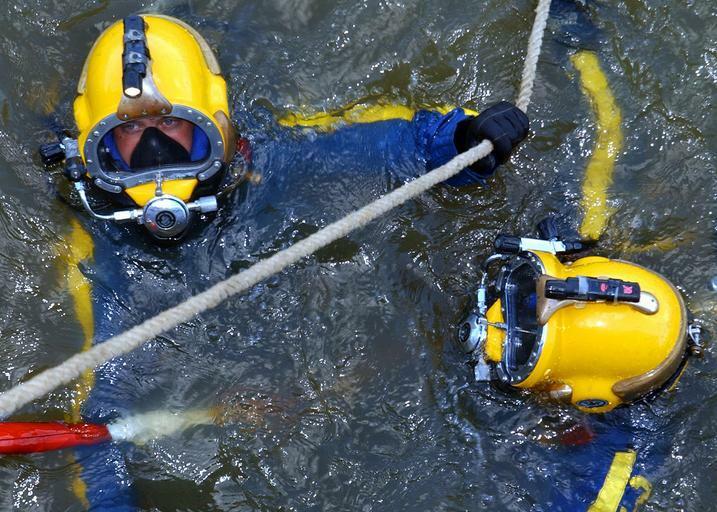 Underwater Welding is a job that not many people can say they have done. An Exeter High School Alumni, Connor Fleming, is making his way towards his goal of being an underwater welder. No one from Exeter High School as every become an underwater welder, but that’s not stopping Fleming. Ever since the start of high school, Fleming has had a passion for welding. 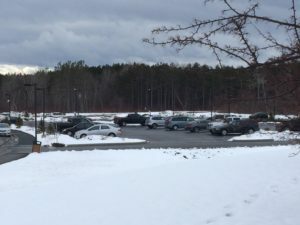 He attended the Seacoast School of Technology in Exeter, New Hampshire, where he studied welding for 2 years, his Freshman and Sophomore years. In those two years, he had learned to fall in love with welding. Fleming figured out that he was more of a hands on learner, than a classroom learner. This made him apply and receive a job from Novel Ironworks in Portsmouth, New Hampshire in 2014. At this job, Fleming was the youngest man on the floor. He began to work his way up the ladder and now he is one of the top welders in his branch. Fleming graduated Exeter High in 2016. Unlike most of his friends, he did not go to college right out of high school. Fleming worked at Novel Iron Works for two more years after he graduated. This gave him a chance to save some more money, learn more about welding, and add on to his already impressive resume. In the Summer of 2017, he realized that he wants to move on from Novel Iron Works and apply to college now that he has some money in the bank. Fleming decided to apply to Divers Institute of Technology (DIT) in Seattle, Washington. DIT is one of the best Commercial Diving schools in the nation, and this is what caught Flemings eye. After contacting the school and applying, Fleming got accepted into the program. This school is unlike other schools because a new class is set to start every month throughout the year and goes for 7 months. Each class that attends has approximately 20-30 kids. Fleming chose to head out across the country this past fall, in September. The cost of this school is around $28,000 for the seven months, that is including all of the equipment. Equipment for this includes a dry suit, that costs $1200, a wet suit that costs $200, nd also a regulator that costs $250. For commercial diver, specialized helmets are needed. These helmets cost upwards of $9,000. DIT provides these helmets for you during the course. This is one reason why people join this program. You can get certificates to qualify you for a professional job, while only paying a quarter of what Universities charge. “I’m not much of a city boy, but I’ll get through it”, Fleming said when asked about how he likes the city of Seattle vs. his small suburban town of Stratham, New Hampshire. “The worst part is everyone that I care about is all the way across the country. It’s tough leaving everything you know and going to a city that you have never been to.” said Fleming. Going from living at home and working after High School, to moving 2500 miles away from everything he knows and loves is difficult for Fleming, but he is doing what he loves and won’t stop until the job is done. There was a minor setback for Fleming in the beginning however. At the beginning of school, the welders are required to go into a tank that simulates going 60 feet, or two atmospheres, under sea level. As the pressure went away, and Fleming’s ears were about to pop from the change in altitude, he needed valsalva, or to clear his ears. He plugged his nose and ended up blowing out too hard. This lead to him being diagnosed with Middle Ear Barotrauma. This means he almost blew out his eardrum while trying to equalize the pressure of his ears with the pressure that he was at. This set him behind one month in the program, so now he has to stay there for 8 months. “It’s all part of the job”, Fleming said when asking how difficult it is to be set back in his program. “The support I receive from my family and friends is what motivates me to continue what I love”, Fleming said. Fleming still keeps in touch with his closest friends and family every day.